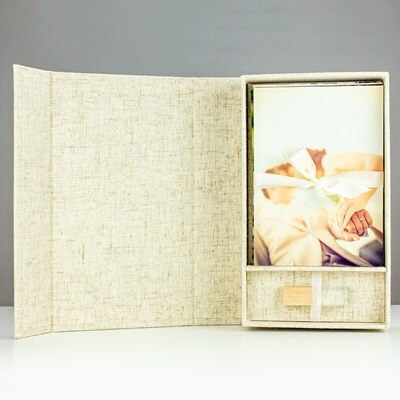 Photo albums get a modern update with the Infinity Photo and wedding USB presentation box. Store both photographs and a custom flash drive in their own compartments to offer a bundled look. Does not come with custom printing or USB drive. Uniquely store, display, and distribute client’s memories with the Infinity! 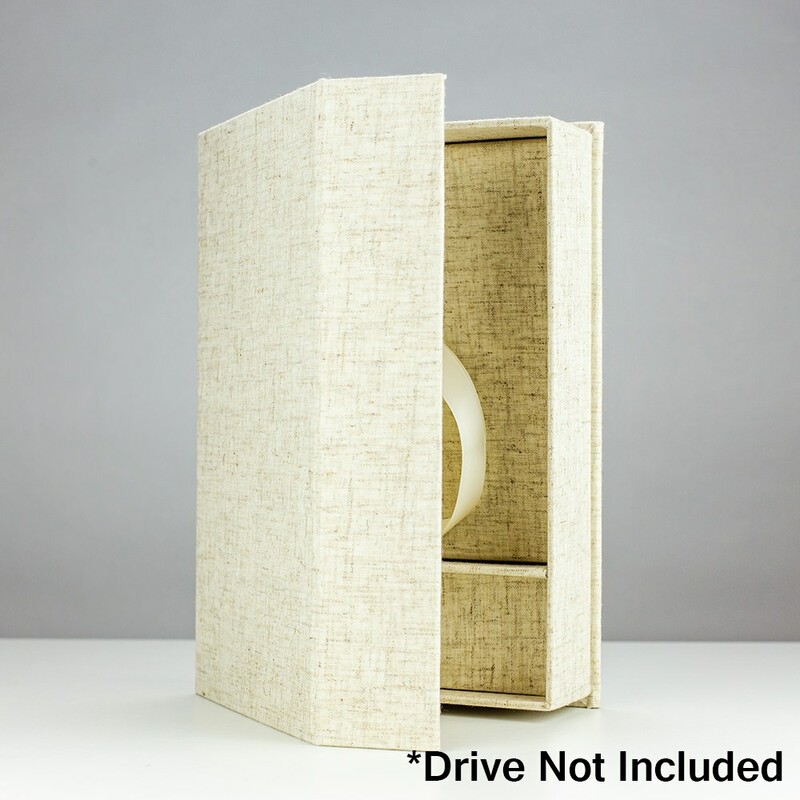 For Custom printing, see our Linen Infinity Custom Photo and USB Box for 5"x7" Photos. Plain photo albums are so 1980. The Infinity offers an elegant update to this time and true classic storage option by giving clients space for favorite photos as well as secure space for a flash drive to digitally store their memories. 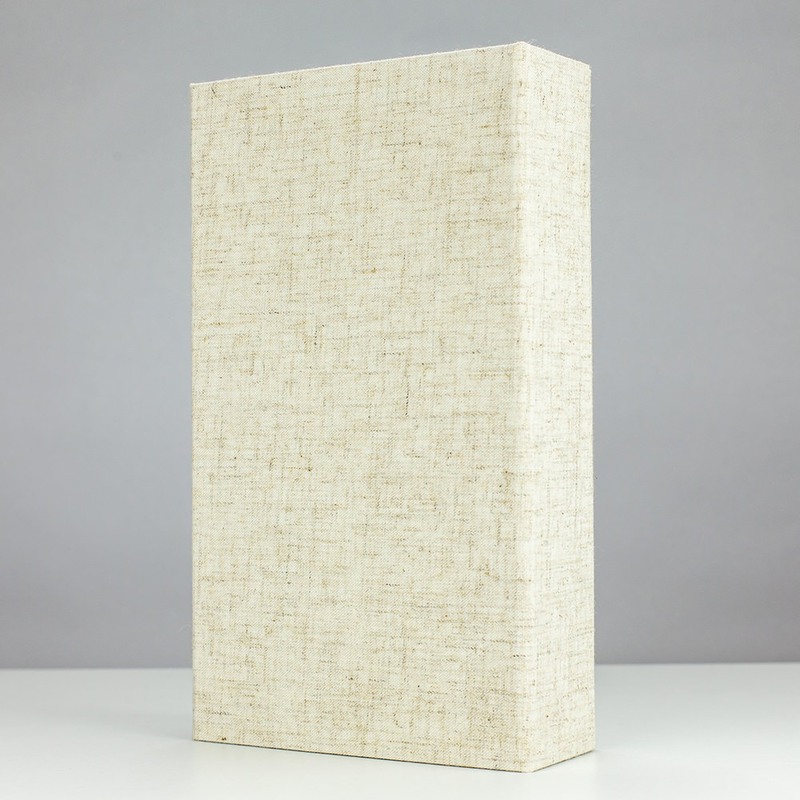 The Infinity is wrapped in your choice of fine material and is lined with matching linen. The photo compartment can hold up to 150 5" x 7" photographs and is held with a ribbon. Each Infinity box comes with a photo riser for storing 100 photos or less. The drive compartment is separate and holds the device in place with a matching elastic band to prevent movement. The cover folds like an accordion over the rectangular box with magnetic closure. This box does not come with custom printing. Available in bulk.